This article is about Botulinum toxin. The author wishes to clarify at the beginning that he has no monetary disclosures in any respect to make for or in opposition to using any specific trade name under which it is bought i.e.Botox, Dysport, Neuronox, etc. Although Botulinum toxin A is the pharmacological name of the substance, since BOTOX is to Botulinum toxin A what XEROX is to photocopying, for the sake of simplicity, the trade name BOTOXhas been used interchangeably for Botulinum toxin – A.
Botulinum toxin is a substance that has been identified for over a century and used for medical functions for greater than 50 years. It was primarily used for strabismus (otherwise referred to as a squinting eye), blepharospasm (lack of ability to open the eyes), and cervical dystonia (wry neck). In 2002, its use was authorized for enhancing and reducing frown lines within the space between the eyes on the forehead (glabella) and has been used efficiently in more than half a million people since that time. Presently, the Food and Drug Administration (FDA) has permitted botulinum toxin A for blepharospasm, strabismus, cervical dystonia, and the aesthetic enhancement of glabellar (forehead) rhytides (frown lines). Presently, botulinum toxin is mostly used in the treatment of hyper functional lines. Earlier, hyper functional lines have been the cause of a lot of consternation for the people affected by them. These lines usually made patients wrongly come across as angry, anxious, fearful, or fatigued. Prior to now, plastic surgeons solely had surgical choices in their armamentarium, along with excision or implantation of fat, collagen, or silicone. These procedures usually offered minimal enhancement and exposed patients to the dangers related to surgery. Injections of botulinum toxin A present a chance to handle these hyper functional lines with minimal morbidity. The three commonest areas for injection are the glabella, peri-orbital crow’s feet, and brow areas. Hyperfunctional lines and wrinkles are the consequence of the contraction of the underlying facial musculature. The facial musculature is complicated and is accountable for facial expressions. The repeated contraction of these muscle groups over many years nonetheless produces many facial lines, face wrinkles and furrows. Numerous questions may enter your mind, at this stage: What is Botox? Is Botox safe? How much does Botox cost? What does Botox do? Allergan, a company based in the USA, manufactures Botox. Botox is very safe and Botox prices (Botox cost/ Botox injections cost) are reasonable in India, at approximately 6 USD per unit of Botox (about 1/10th the cost of Botox in the USA). Botox Injection treatment requires specialized Botox training. Botox injection sites involve injections of Botox under eyes, around facial lines, botox around eyes, on glabella and forhead. Botulinum toxin injection treatment procedure (Botox) is the gold standard offacial line and wrinkle treatment globally, at this moment and unfortunately, nothing is better than Botox and there exists no alternative to Botox (Botox alternative), for non-surgical anti-aging therapy. Botulinum toxin A (BOTOX ®) causes muscle relaxation by inhibiting the release of acetylcholine (a neuro-transmitter) at the neuromuscular junction. The toxin requires 24 to 72 hours to make an impact, reflecting the time required to disrupt the synaptosomal process. In very uncommon circumstances, some people could require as many as 5 to 10 days for the total impact to be observed. The effect of botulinum toxin lasts 12-24 weeks. The duration of action varies. Usually, the effect lasts longer for muscle tissues that are not used frequently and reduces as the frequency of action increases. For instance, the results last lesser in the area below the eyes, where the skin is thinner and most active (three to four months) and lasts longer on the brow where the skin is comparatively less mobile (lasting 5 to eight months). Hyperhidrosis – Increased sweating within the axillae, palms and soles of the feet. There is no any scientific proof to show Botox is unsafe in the pregnant or breast feeding mothers. Furthermore, there’s NO cause to believe that Botox which is injected into the muscular tissues LOCALLY ought to have any systemic impact whatsoever. So, technically there isn’t any cause to believe that Botox is unsafe in the pregnant or breast-feeding! Nevertheless, we choose to not use Botox in the pregnant or breast-feeding, simply to be more than secure in these susceptible situations. It is commonly misunderstood that BOTOXactually paralyses the facial muscles which leaves people with mask like faces. Though this can happen with extreme quantities of BOTOX, most physicians inject just the amount that allows patients to preserve normal facial expressions. When used correctly, BOTOX simply prevents facial grimaces. Addition of BOTOXexternally to the face does not have any effect. Hence Botox facials are a sham! The Do-It-Yourself BotoxKits on the internet are a bad idea because it requires not only the skill of a cosmetic surgeon, but also a knowledge of the facial muscles, where it is safe to stick a needle, how to give an injection, etc. The areas to be injected are made aseptic and may be numbed. Typical injection sites include 6 or 8 areas. After the procedure, the patient is advised to avoid lying down for 2 to 4 hours. Patients are advised to exercise the injected muscles to increase the effectivity of the treatment. Results will be evident within 3 to 10 days. Botox does not actually erase lines, but just irons them out. Thus, deep lines become less deep and superficial ones will almost disappear. Additional procedures like fillers may be required. Also, deeper wrinkles may need 2 or 3 additional sessions. Side effects occur in less than 0.0001% of injections. Main risks are headache, pain and flu like illness. Botox is one of the wonders of modern medicine, when used correctly and in the right hands. It is truly almost a painless procedure! Many people in whom a decade ago we would have no alternative but to operate, can now just be Botoxed and these folks can thus avoid the side-effects and the time required for healing associated with surgery. 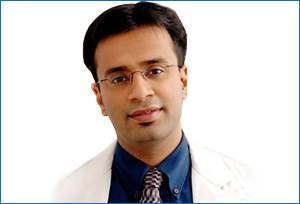 All Botox Injections are given by Dr. Debraj Shome, top / best plastic surgeon in India, currently based in Mumbai, India. Dr. Debraj Shome is a top Botox doctor and an expert in Botox Injections for non-surgical facial cosmesis. A lot of our patients visit us from Hyderabad, New Delhi, Chennai, Bangalore, Kolkata, Pune, Ahmedabad, Chandigarh, Jaipur, Nagpur, Kolhapur, Cochin, Trichy, Bhopal, Indore, Assam, Manipur, Mizoram and many other places in India. Many of our consumers (medical tourism) also come in from the USA, Singapore, Dubai, Qatar, Canada, Nigeria, Kenya, Mauritius, UK, South Africa and many other countries in the world. Locally, from Mumbai and the surrounding areas, we cater to consumers from Thakur Village, Thakur Complex, Kandivali, Borivali, Goregaon, Jogeshwari, Dahisar, Andheri, Lokhandwala, Dadar, Chembur, Malad, Powai, Khar, South Mumbai, Worli, Bandra, Chembur, Thane, Santacruz, Navi Mumbai, Mira Road, Bhayender, Vashi, Panvel, as we have multiple centers in Mumbai.